Expectations: 9.1 / 10 calculated out of 1325 players' votes. Tom Clancy’s The Division for PC / Windows is an action game with RPG elements that focuses on multiplayer. The production is branded with the surname of one of the most widely read authors of sensation novels, Tom Clancy, and is the initial installment of a completely new series based on his works. It is the first new Tom Clancy’sfranchise in years, as well. It was developed by Massive Entertainment, known mostly for World in Conflict and the Ground Control series.Tom Clancy’s The Division was created under the aegis of Ubisoft, which brands a number of its games with the famous American author’s surname, including such popular franchises as Rainbow Six, Ghost Recon and Splinter Cell. 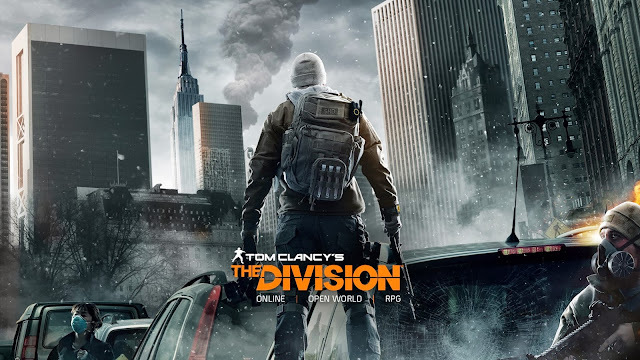 Despite the fact that The Division was being developed mostly with the 8th-generation consoles in mind from the very start, the game was released on PlayStation 4, Xbox One and PC at the same time. Given the specifics of the last platform, the PC version offers incomparably bigger graphics configuration options, which translates into visibly better visuals in comparison with the console editions. The game’s story references the famous Directive 51, signed by George W. Bush, which ensures the continuity of the federal government in the event of an extraordinary threat to the country’s security. The developers from Massive Entertainment created an alternative vision of history, in which the fictional operation Dark Winter, so far only a simulated bioterrorist attack scenario, actually happened. The action of The Division starts on Black Friday, the special offers and sales day that begins the pre-Christmas shopping period in the United States. This was the date that the terrorists from an unknown organization chose to paralyze the world with a deadly virus, transmitted by American banknotes that are passed from hand to hand. When, as a result of their operation, New York is struck with a pandemic and the panicked citizens are ready to do anything to survive, the Division, the eponymous secret agency, goes into action. Its agents, controlled by the players, not only have to face the deadly virus and its effects, but also deal with the terrorists responsible for the attack. Tom Clancy’s The Division for PC / Windows focuses primarily on cooperative multiplayer, combining elements of typical third-person shooters with open world and some RPG accents. The players, who assume the role of the Division operators, try to contain the situation in a city overrun by panic, which in practice boils down to free exploration of the game world and undertaking lots of primary and secondary quests. Their most important element is dynamic combat. Its mechanics heavily resemble the solutions known from such games as Tom Clancy’s Ghost Recon, offering opportunities for tactical maneuvers and hiding behind covers. For completing quests, our character is awarded with experience points that can be spent on developing dozens of skills. They allow us to, for example, heal our teammates, scan our surroundings to detect nearby enemies, set up machine gun nests, or use remote-controlled mines that seek out hostiles and explode near them. The game world constantly changes as a result of the decisions made by the players. The retaking of New York is particularly interesting. For instance: after we secure one of the local police stations, the policemen stationed therein will attempt take control of its surrounding area and the restore order within it. Tom Clancy’s The Division focuses on multiplayer, therefore, similarly to most classical online games, the key to success is the skillful cooperation between team members. Should we not have enough friends to play with, we may use the matchmaking feature. One of the important aspects of cooperation is not only fighting together against the terrorists, but also trading the equipment gathered during the game. Furthermore, the developers from Massive Entertainment did not forget about the fans of competitive gameplay – The Division offers some PvP elements that allow for rivalry between player characters. Tom Clancy’s The Division for PC / Windows is powered by the proprietary Snowdrop engine that delivers impressive graphics on all platforms. According to the developers’ announcements, virtually all visible objects are rendered separately, which translates into incredibly detailed game world, as well as a number of additional visual effects, such as air escaping from punctured tires, car bodies penetration, or completely different trajectory of bullet cases ejected from weapons.